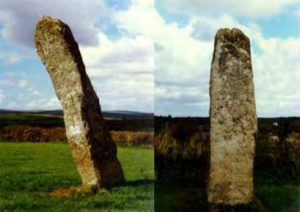 Standing stones, called menhirs in Cornwall, are found scattered all over the Penwith landscape. 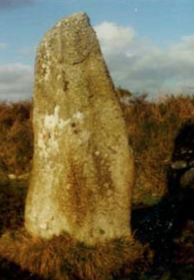 They date from the Bronze Age, circa2500 – 1600 BC and range in height from five to fifteen feet. 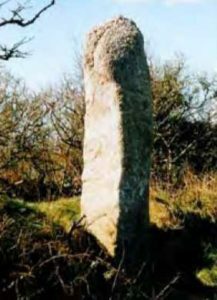 Like most ancient sites, their purpose is unknown, but it seems likely that menhirs would have had a ritualistic function marking burial sites or important events. 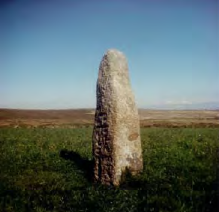 They may also mark ancient boundaries, tribal territories or pathways. 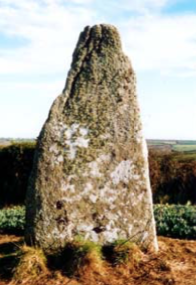 This is a good specimen of a standing stone, being some 3.3m (11ft) in height and studded with quartz. 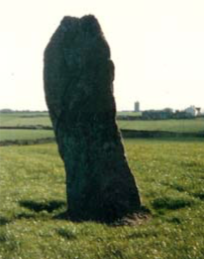 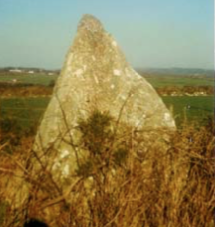 The standing stone is 2.6m (8.5ft) high, and was probably originally an outlier to the stone circle.